We’ve got our hands on the Shadespire box and the two additional Warbands – join us as we take a dive into the Cursed City! All of the models are up-to-snuff in terms of the quality you’d expect from GW. What was interesting is that they all come in Colored Plastic vs the standard Grey Plastic we’ve seen for many years. Now, maybe this was an attempt to appeal to those folks out there that don’t want to paint their models and just want to play. Hey, I’ll take the colored plastic vs the bare grey plastic on the tabletop any day! Also, other than the fact that it’s a different color, it’s the same hardness/quality. It’s probably just dyed – and that’s a good thing! Also included in each pack were the decks/cards needed to field the respective warband. One thing I didn’t realize is that you CAN play multiplayer games of Shadespire as well. Now that we have 4 warbands…well, let’s just say we’ve got some plans for this week on our Twitch Channel! 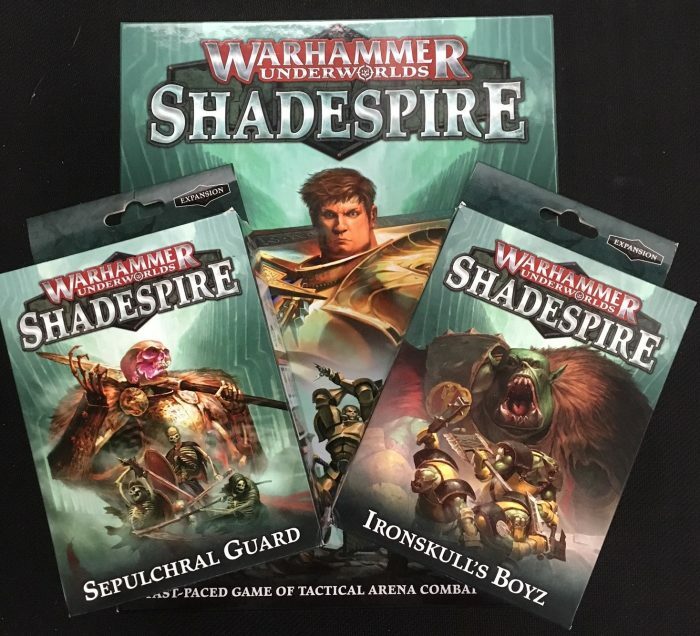 Speaking of Twitch, we did get in some games of Shadespire which you can view right HERE. So if you’re curious, go check it out – it’s a really solid, fast-pace game! 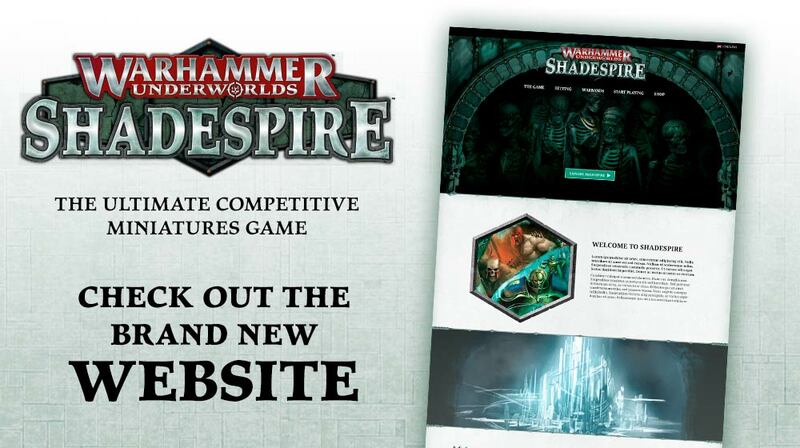 Shadespire is coming soon from Games Workshop!